The Lady Cats’ basketball team, ranked #9 in Class 5A, got a win against a team that beat them earlier this year as they edged by host Idabel, Oklahoma, 44-42 in an Idabel holiday tournament game late Saturday afternoon. The Lady Cats got off to a good start and they led 20-7 after the first quarter. Then they saw their lead disappear over the next two quarters. The game was tied 34-34 going into the fourth quarter. The Lady Cats outscored the Lady Warriors, 10-8 in the fourth quarter to take the 44-42 win. Sadavia Porter led the Lady Cats with 20 points including three three-point baskets. Autumn Tanton had 11 points. Kaylee Jefferson added 8 points. Danielle Godbolt hit a three-pointer and had 3 points. Imani Taylor had 2 points. 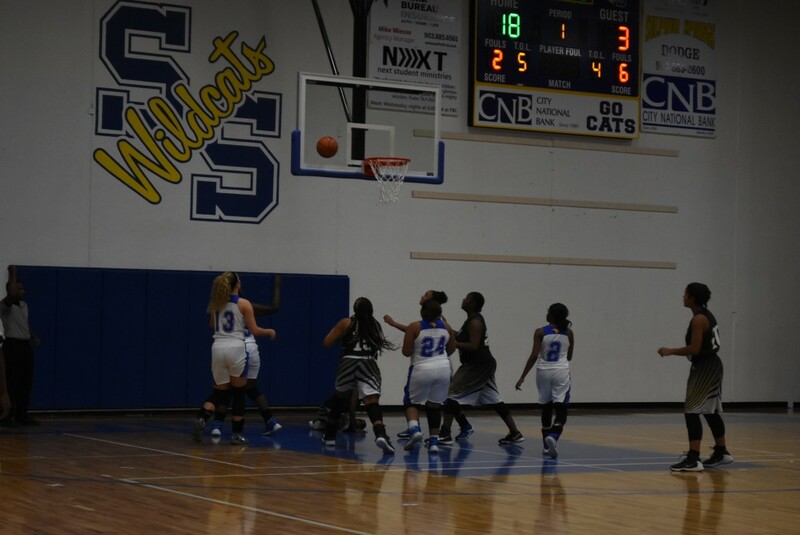 The Lady Cats were able to win despite so-so shooting. They managed to shoot only 36% hitting 18 of 50 shots. The Lady Cats made 4 of 16 three-pointers for 25%. They made 4 of 8 free throws for 50%. The Lady Cats had 15 turnovers. Jefferson had a team high 10 rebounds. The team grabbed 20. The Lady Cats also had 11 assists and 3 blocks. They had 23 deflections and 16 steals. Taylor had 7 deflections. Porter had 6 steals. The Lady Cats won two and lost one in the three-day Idabel tourney. The Saturday win improved the team’s season record to 17-3. The Lady Cats, 3-0 in district play, return to district action Tuesday night at 7:30 p.m. as they play at home against the Marshall Lady Mavericks.